Description: The battery powered sound source is swung in a large vertical circle. Viewed from the plane of the circle, the frequency periodically increases and decreases. 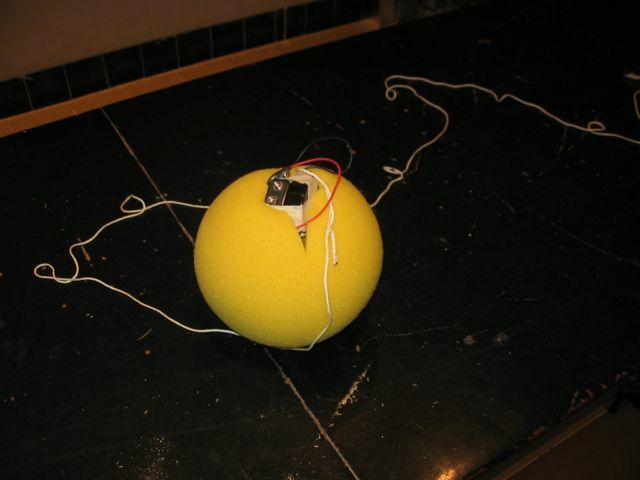 The 'nurf' ball protects the sound source and audience. Description: Bell rings when jar is full of air. Once pumped out with vacuum pump, it is no longer audible. Description: Fill tube with flammable gas (! ), attach speaker to diaphram end, light the gas coming out of the small holes on top. Produce a tone with the associated audio amp, and the sinusoidal wave pattern is visible in the flames above the tube. Description: Various pipe organ pipes, variable (slide) tone generators, and note-boxes with tuning forks on top. Description: Plastic percussion tubes designed to generate a specific note when struck on rigid surface.